F.R.E.S.H. Counseling Solutions is an online-based Life Coaching Center that focuses on working with and empowering returning military veterans and ex-offenders recently released from incarceration. Vocational Preparation, Job Coaching, Mental Health Counseling, Spiritual Guidance and Development, and various other services are offered as necessary. Services are tailored to the needs of the individual being served. F.R.E.S.H. Counseling Solutions is also a growing conglomerate of small businesses that are able to offer numerous services to our clients in order fulfill the F.R.E.S.H. Philosophy. Those services include Financial Education and Management, Family Relationship Coaching, and Pastoral Counseling to name a few. The F.R.E.S.H. Approach offers coaching and spiritual counseling to returning veterans, ex-offenders, and individuals with mental health disabilities. 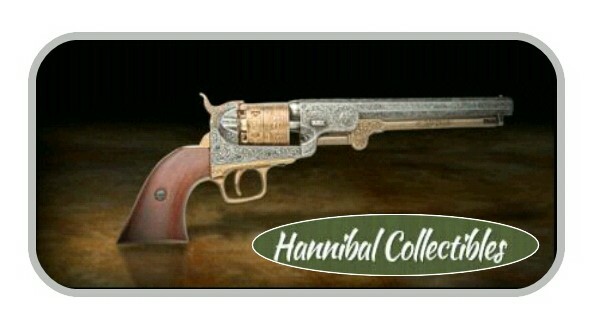 Hannibal Collectibles is our newest addition that offers historical memorabilia to collectors and safety training equipment to law enforcement, military, and martial artists. Replica firearms, swords, and helmets may be found in our store, and books, manuals, movies, and equipment may be found in our gift shop. F.R.E.S.H. Counseling Solutions is a growing conglomerate of small business that are able to offer numerous services to our clients in order fulfill the F.R.E.S.H. Philosophy. Those services include Financial Education and Management, Family Relationship Coaching, and Pastoral Counseling to name a few. Jeffrey LaMar, CEO, of Financial Stability has partnered with F.R.E.S.H. Counseling Solutions to offer Financial Management Assistance. Financial Stability focuses on income streams for our clients, to include Business Notes, Mortgages, Annuities, and Structured Settlements. 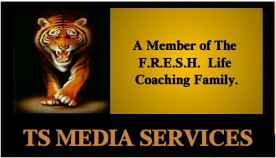 TS Media Services develops and publishes literature to support the coaching mission of F.R.E.S.H. Counseling Solutions. Among our products are published books, a bookstore, and an internet radio program. The mission of F.R.E.S.H. Counseling Solutions is to promote a spirit of excellence in Christian Life Coaching and Peer Counseling and address, assist, and empower individuals in resolving the various systemic, interpersonal, personal, and miscellaneous issues that hinder self-development. F.R.E.S.H. Counseling Solutions seeks to use each and every opportunity to guide individuals into establishing or enhancing their relationship with Jesus Christ. As an information and referral resource and supplement to traditional treatment programs, F.R.E.S.H. Counseling Solutions endeavors to create a person-centered bond, and strengthen areas in which the bond currently exists. The ultimate goal of F.R.E.S.H. Counseling Solutions is operate a professional and efficient organization, and in doing so, to create opportunities for choices, independence, self-sufficiency, and community participation in providing multiple services. F.R.E.S.H. 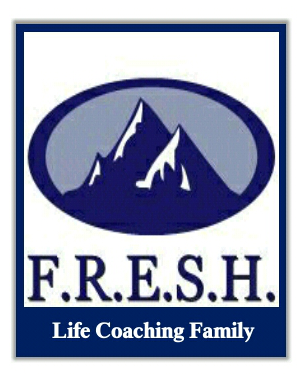 assists individuals to realize life choices through the F.R.E.S.H. Philosophy. The F.R.E.S.H. Philosophy (Approach) is a life process that requires each individual to rethink their understanding, approaches, and reactions to life.